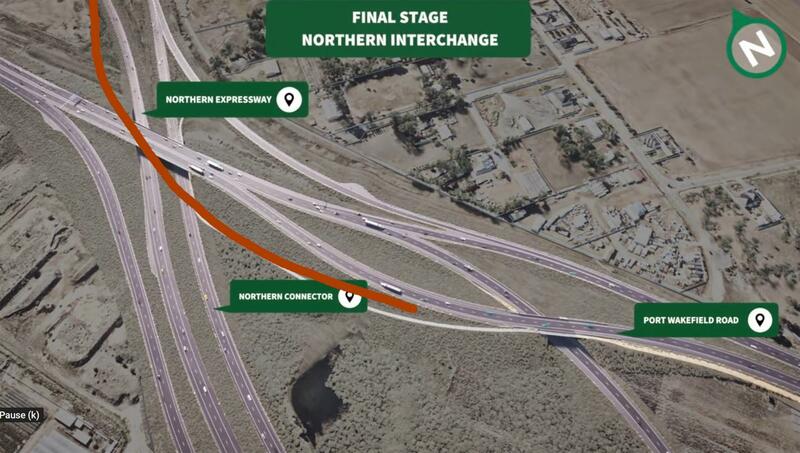 Once the northern interchange is finished, what will be the way to get from Port Wakefield Road northbound onto the Northern Expressway? Is it going to require turning left at Waterloo Corner Road then onto the NC from there, or will there be a final onramp I have missed seeing? Is there any benefit in doing that intermediate switch at the southern interchange, rather than finish the complete build of the new north->east ramp and switch to that? That bridge over the NC seems to be getting a fair push of effort too. I dont think there is a northbound onramp to get from PWR to the NEXY. Most the current traffic that turns right from PWR to the NEXY would instead already have gotten onto the NC at Wingfield. I was thinking of traffic originating around the Parafield Gardens, Paralowie, Burton area, and also coming from Cavan and Gepps Cross that would not have come through Wingfield, but would be on Port Wakefield Road not Main North Road. There's probably not enough traffic to justify the cost of another bridge. A right turn from PWR to the NEXY would require a huge flyover. This would then allow northbound superway traffic to use the new PREXY bridge so that the old bridge and abutments can be removed to allow PREXY to be widened. AFAIK you are correct. No acces to NEXY from PWR northbound. At the new waterloo corner interchange there are covered up signs saying 'to M2' directing people to use the waterloo corner overpass to access NEXY. The opposite is also true. Southbound NEXY traffic will be able to exit to PWR at the northern interchange but NOT at the Waterloo corner road intersection. I agree with you regarding the southern interchange, but the onramp is already bitumised and streetlights are being put up whereas the flyover offramp is still a way off. Goodsy wrote: There's probably not enough traffic to justify the cost of another bridge. A right turn from PWR to the NEXY would require a huge flyover. Surely a loop (cloverleaf style) would be sufficient? Any idea when this road will open? I find that bizzare to be honest. Why not keep the current onramp from PWR to the NEXY? I thought that interchange was deliberately designed so that there was room for that current slip lane plus the Northern Connector. The current on ramp crosses the future southbound northern connector at grade, so can’t stay as it is. Over the bridge then a loop would be simplest and easiest to retrofit if needed later. Taking the “temporary” on ramp under the southbound carriageway would be best design I think. I was thinking of branching off of the northbound PWR and going under the "Northern Connector" label, swinging right as it passed under the southbound carriageway, then rising to join the right side of the northbound carriageway before it passes under the PWR bridge. It's possible that would introduce too steep a gradient somewhere between an under and over. It might well turn out to be fine with entrances at Bolivar Road and Waterloo Corner Road that aren't far from PWR, and Heaslip Road is also an option.